Crafted with high-quality vegan leather, the stylish Incipio Folio 2-pack for ASUS PadFone X provides seamless protection for your tablet and phone. 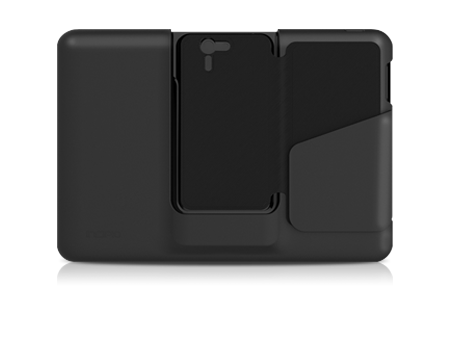 The Incipio® tablet and phone Folio 2-pack for the Asus Padfone™ X provides seamless tablet-to-phone protection while keeping it both portable and lightweight. Designed in two separate pieces, the tablet and phone Folio 2-pack delivers coverage for both devices whether apart or attached. The phone Folio is crafted with vegan leather that covers the front and back of the device, while the tablet Folio is made with a hard shell back and a vegan leather front cover.